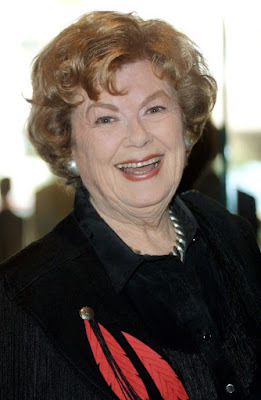 LOS ANGELES — Barbara Hale, a movie actress who found her most famous role on television as steadfast secretary Della Street in the long-running Perry Mason series, has died. She was 94. Hale was surrounded by family when she died Thursday at her Los Angeles areahome, said Jaqueline Stander, an agent for Hale's son, actor William Katt (The Greatest American Hero, Carrie). "She was gracious and kind and silly and always fun to be with," Katt posted on his Facebook page Thursday, calling Hale a wonderful actress and a "treasure as a friend and mother." Hale appeared in Perry Mason on CBS from 1957 to 1966, winning an Emmy as best actress in 1959. 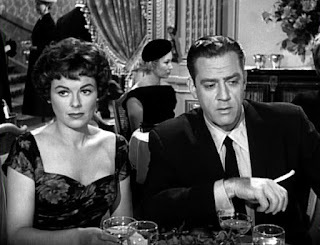 When the show was revived in 1985 on NBC as an occasional TV movie, she again appeared in court at the side of the ever-victorious lawyer played by Raymond Burr. "I guess I was just meant to be a secretary who doesn't take shorthand," she once quipped. "I'm a lousy typist, too — 33 words a minute." Hale was born in DeKalb, Ill., daughter of a landscape gardener and a homemaker. The family moved to Rockford when she was 4, and she later took part in local theater. But her goals were to be a nurse or journalist. When her ambition turned to art, she studied at the Chicago Academy of Fine Arts, where she was often sought as a model. Her work for a modeling agency prompted an offer for a contract at the RKO studio in Hollywood. "It hit every paper the next day: the Cinderella story," she recalled in a 1993 Chicago Tribune interview. "Of course they said it was a starring role. I had one line, but you know about those things." The movie was a quickie, Gildersleeve's Bad Day, but she went on to appear with Pat O'Brien in The Iron Major, Frank Sinatra in Higher and Higher and Robert Young in Lady Luck. Another co-star was a blond actor named Bill Williams (real name: William Katt), with whom she appeared in West of the Pecos and A Likely Story. They met over coffee in the studio commissary and married in Rockford in 1946. The couple had three children: Nita, William and Jody. Williams, who died in 1992, later gained TV fame as star of The Adventures of Kit Carson. Their son goes by his father's original name, William Katt. 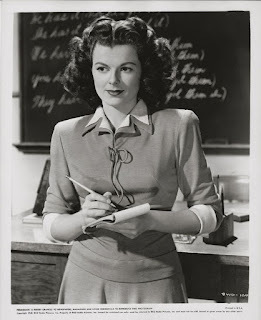 After her RKO contract ended, Hale worked at other studios, usually as the adoring wife of the leading man. 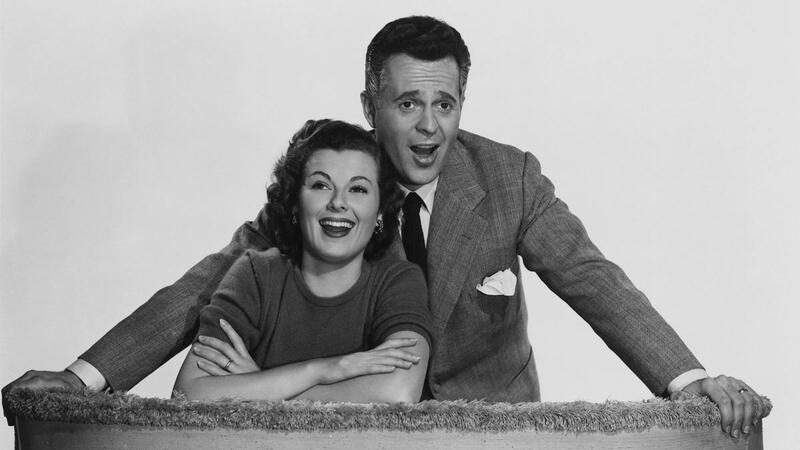 She played opposite Larry Parks in Jolson Sings Again, James Stewart in Jackpot and James Cagney in A Lion Is in the Streets. 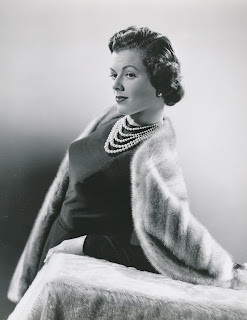 In 1957, she joined the memorable cast of Perry Mason that included Burr as the defense attorney who solved his cases in the courtroom, William Hopper as investigator Paul Drake, William Talman as never-winning prosecutor Hamilton Burger and Ray Collins as police lieutenant Arthur Tragg. "When we started, it was the beginning of women not working at home," Hale said in the 1993 interview. "I liked that she was not married. My husband, Bill, didn't have to see me married to another man, and our children didn't have to see me mothering other children."